India has some of the most wealthy families and personalities. After US and China India has the largest group of rich person which is 121 out of the 2068 person that Forbes took into account in its annual magazine from all-over the world. Here we have compiled an exhaustive list of the top richest person in India. You can also see the Daily, Monthly and annual salary of top 10 richest person in the world here. Mukesh Ambani is the Chairman and MD of Reliance Industries which mainly deals in refining, petrochemicals and in the Oil and Gas sectors. 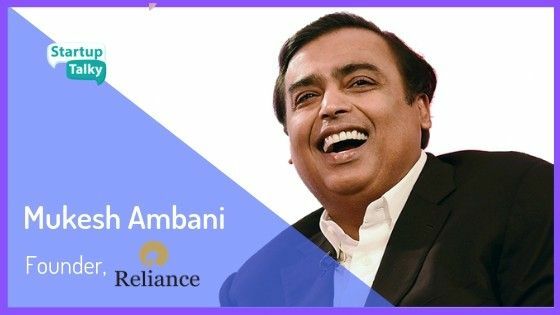 Ambani also owns Reliance Retail which offers foods, groceries, apparel, footwear, lifestyle, home improvement products, electronic goods and farm implements. He is also the owner of Mumbai Indians, an IPL franchise. Reliance Jio Infocomm Ltd. one of the fastest growing mobile networks is also owned by Mukesh Ambani. Ambani is among the top 10 richest persons in the world. He has almost 52% stakes ihin Reliance Industries. He is currently ranked 19th in the list of world's richest person as of October 2018. Ambani surpassed Jack Ma, founder and executive chairman of Alibaba Group, to become Asia's richest person with a net worth of $44.3 billion in July 2018. Ambani was born on 19 April 1957 in Aden, Yemen and brought up in Mumbai. He graduated in Chemical Engineering from the Institute of Chemical Technology. He is an MBA dropout from Stanford University. He is a fan of Bollywood movies where he watches three movies a week because he says "you need some amount of escapism in life." Azim Premji is the second richest person of India and is referred to as the Czar of the Indian IT Industry. He is an Indian business tycoon, investor, philanthropist and currently the chairman of Wipro Limited. Wipro Limited is an India-based IT, Consulting and business process services(BPO) company headquartered in Bangalore, India. 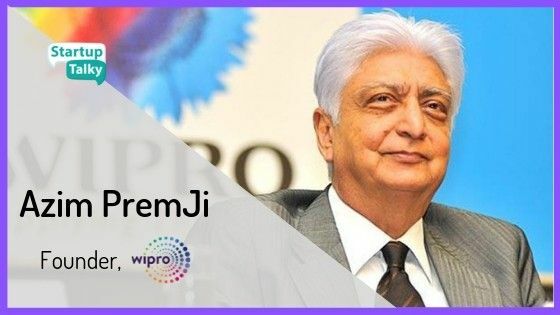 The Government of India honoured Premji with Padma Bhushan in 2005 and awarded Padma Vibhushan, the second highest civilian award in 2011 for his excellent work in the field of trade and commerce. In April 2017, India Today magazine ranked Premji him 9th in India's 50 Most powerful person. Premji was born in Bombay (now Mumbai) and currently resides in Bangalore. Premji has pursued Electrical Engineering (equivalent to a Bachelor of Engineering) from Stanford University, USA. He is the first Indian to sign up for The Giving Pledge, a campaign led by Bill Gates and Warren Buffett. The Giving Pledge is focused to encourage the wealthiest person to make a commitment to give most of their wealth to philanthropic causes. Lakshmi Niwas Mittal is an Indian Steel magnate, chairman & CEO of ArcelorMittal. He is the owner of Karrick Limited and the Co-owner of Queens Park Rangers F.C. He is popularly known as the King of Steel. In 2005, Mittal was ranked as the third-richest person in the world. In 2007, he became the richest Asian person in Europe. Mittal was honoured with Padma Vibhushan in 2008 for his work in Trade and Industry. He was awarded Forbes Lifetime Achievement Award in the year 2008. He is on the board of directors of the European Aeronautic Defence and Space Company. Since 2008, he is an independent board of directors of Goldman Sachs. Mittal was born on 15 June 1950 in Sadulpur, Rajasthan to a traditional Marwari family. He currently resides in London. He pursued his B.Com degree from St. Xavier's College, Calcutta. Mittal is known for his lavish lifestyle and incredible success statement. Hinduja Group is one of the biggest international company of India. First founded by Parmanand Deepchand Hinduja, the company is now run by his sons Shrichand, Gopichand, Prakash and Ashok. Even though, the founders are Indian origin, the head quarter of the company is situated in London. Also, this is the reason Hinduja Group is among the wealthiest companies of britain too. Pallonji Mistry is an Indian Businessman, construction tycoon and the chairman of Shapoorji Pallonji Group. He is also known as the Phantom of Bombay house within the Tata group. He holds individual ownership of 18.4% stake in Tata Group. Pallonji Mistry also owns Shapoorji Pallonji Construction Limited, Forbes Textiles and Eureka Forbes Limited. He also partly owns the Taj Mahal Hotel. He was honoured with Padma Bhushan in January 2016 by the Government of India for his contributions in the field of trade and industry. A book titled The Moguls of Real Estate short biography of Mistry was written by Manoj Namburu in 2008. Mistry was born to a Parsi family and currently lives in Malabar Hills, South Mumbai. Mistry is an Irish citizen since 2003 by giving up his Indian Citizenship to marry an Irish-born national. 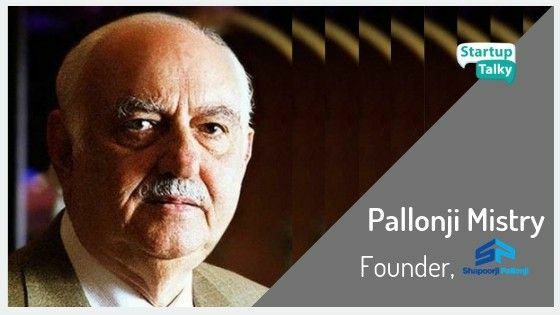 Pallonji Mistry is the richest Irish person by the net worth of 12.5 billion USD. 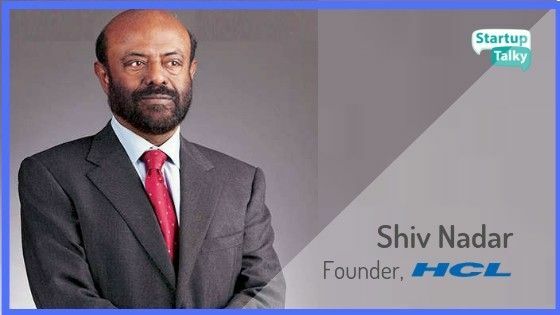 Shiv Nadar is the Chairman and Founder of HCL and established Shiv Nadar Foundation. He is also an industrialist and philanthropist. Nadar has committed more than $1 billion to philanthropy. He was ranked 16th in the list of most powerful person of India by the India Today magazine. He was ranked 6th in Forbes list of richest person of India. In 1976 Nadar founded HCL, which was a huge contribution to the IT sector of India. Nadar was honoured with the third highest civilian award Padma Bhushan by the Government of India in 2008. Madras university honoured him a doctorate degree in the year of 2007. He was counted amongst Forbes' 48 Heroes of Philanthropy in the Asia Pacific in 2011. Nadar was born 14 July 1945 in Tamil Nadu. He currently lives in New Delhi. He pursued his degree in Electrical and Electronics Engineering from Coimbatore. He founded HCL in 1976 with an initial investment of Rs. 187,000. Nadar is also nicknamed as Magus by his friends(meaning 'wizard' in Persian). The Godrej company have it's root from 1897, in almost every sector. The company was founded by Pirojsha and Ardeshir Godrej. Now, the business is run by their grandsons Adi, Nadir and Jamshyd. Ardeshir decided to make locks, seeing the increasing crime rate in the city. His brother helped him in this business and now, Godrej is one of the biggest company in many sectors. Smita is a third-generation heir of the Godrej family. 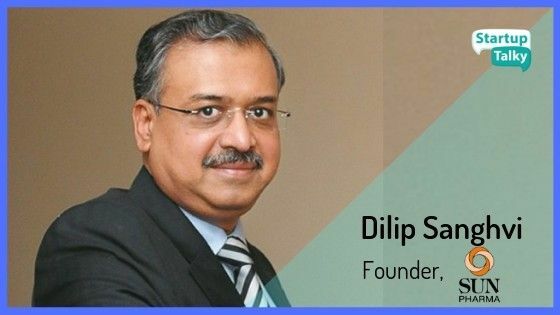 Dilip Sanghvi is the founder of Sun Pharmaceuticals that manufactures and sells pharmaceutical formulations and active pharmaceutical ingredients (APIs) primarily in India and the United States. He founded the company in 1982 in Vapi with a capital of INR 10,000 in 1982. Currently, Sun Pharma is the largest drug company in India and the fifth largest in the world. He was honoured with Padma Shri in 2016. He is also a trustee of the Rhodes scholarship programme at Oxford University. He was appointed by the Indian government to RBIs 21-member central board committee. He was born on 1st October 1955, in Amreli, Gujarat. He pursued B.Com from the University of Calcutta. He did his schooling and graduation of J. J. Ajmera High School and Bhawanipur Education Society College, respectively. 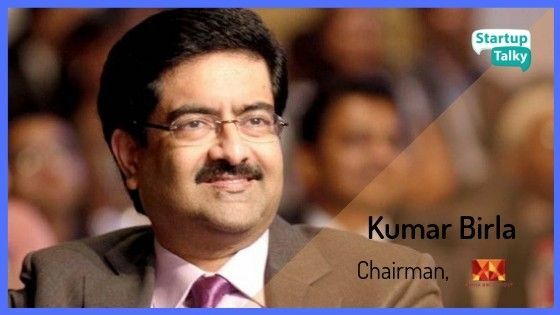 Kumar Birla is an industrialist and the chairman of Aditya Birla group. He is also an educationist. Kumar Birla is the Chancellor of Birla Institute of Technology & Science (BITS). He is the Chairman of IIT Delhi, IIM Ahmedabad and Chairman of Rhodes India Scholarship Committee for Oxford University. He serves as Asia Pacific Advisory Board of London Business School and is an Honorary Fellow of the London Business School. He took over Birla group after the demise of his father in 1998 and under him, the company expanded from $3.33 Billion in 1995 to $41 billion in 2015. He is awarded "CEO of the Year" award by the International Advertising Association, Economic Times' “Business Leader Award” in 2003 and 2013. Birla heads the merged company Vodafone Idea Limited as the Chairman and holds 26% of the company shares. He was born on 14 June 1967 in Calcutta and brought up in Mumbai. He studied B.Com from HR College of Commerce and Economics, MBA degree from London Business School, and CA from ICAI (India). Gautam Adani is an industrialist, chairman and founder of the Adani Group. Adani Group is an Ahmedabad-based conglomerate involved in port development and operations in India. He is also the president of the Adani Foundation which operates to nurture communities in four chosen areas - Education, Healthcare, Sustainable Livelihood & Rural Infrastructure development. Adani Group was founded in 1988 involved in business into resources, logistics, energy, agriculture, defence and aerospace. 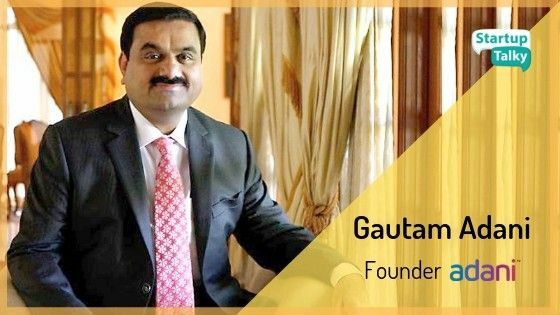 He holds a 66% stake in Adani Ports & SEZ Limited, 75% stake in Adani Enterprises, 73% stake in Adani Power and 75% stake in Adani Transmission. He was ranked as the 4th most powerful person in India by India Today Magazine in 2017. Adani was born on 24 June 1962 in a Bania family in Ahmedabad, Gujarat. He did his schooling from Seth CN Vidyalaya in Ahmedabad. He is a B.Com dropout from Gujarat University. 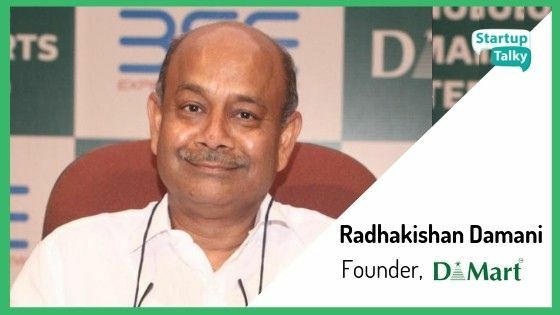 Radhakishan Damani founded DMart as the chain of supermarket. His retail chain accounts for 91 stores across India and is the third biggest in the industry. RK holds the ownership of 52% stake in the parent company of DMart called Avenue Supermarts, and Bright Star Investments his investment company, holds another 16% stake. He is known as Mr. White because of very simple living but high thinking. He is also a stock investor, broker and trader. In the Forbes list of richest person in India, he was ranked 11th. Damani was born in 1945 in a Marwari family in Bikaner, Rajasthan. He got admitted into B.Com but later dropped out after the first year. 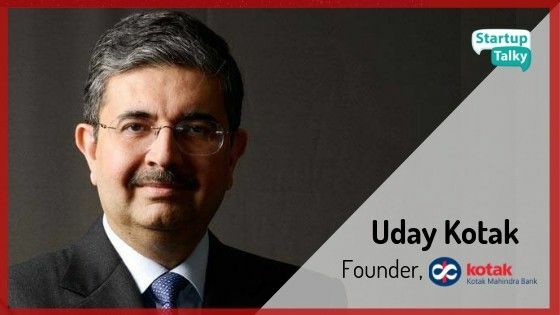 The founder, MD and Chairman of Kotak Mahindra Bank Ltd. Kotak Bank is the India's third most valued bank and has a market capitalisation of Rs. 1,60,152 crore. Uday is also a member of the strategic board which advises the national law firm cyril amarchand mangaldas. Anand Mahindra lended 1 lakh to Uday Kotak to start a financial services company 30 years ago. He was awarded as the Most Powerful person in The Financial World, by Forbes in May 2016. India today magazine ranked him 8th in India's most powerful person list 2017. He was also the Ernst and young world Entrepreneur of the Year 2014. Born on 15 March 1959 in Mumbai. Uday was brought up in an upper middle class Gujarati-Lohana joint-family. He pursued his bachelors degree from Sydenham College of Commerce and Economics and also holds a MBA degree from Jamnalal Bajaj Institute. He was a math wizard and topped his university in BCom. This family is responsible for the addiction of Chyawanprash, every Indian had in their childhood. The company was started by an Ayurvedic practitioner Dr. S.K. Burman in 1880s. His son then went on to set up an R&D and they also started the mass production of their medicines, in 1884. Currently, the company is handled by the fifth generation of Burman. However, more than 74% stake of the company is owned by a German company, Fresenius SE. Savitri Jindal is the chairperson of Jindal Group which deals with steel, power, mining, oil and gas. Jindal Industries is a leading Indian manufacturing company. 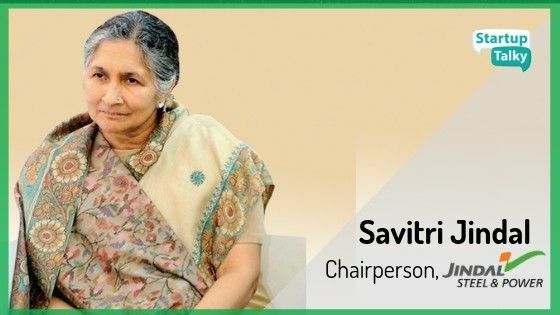 Savitri took over the company after the death of her husband OP Jindal in 2005 who founded the Jindal Group. After taking the charge as chairman, the revenue of the company quadrupled. Savitri Jindal is the richest woman in India, worth over $8.5 billion, she was world's 453rd-richest person in 2016. She is also the world's seventh-richest mother. Savitri was a Minister in Haryana Government and member of the Haryana Vidhan Sabha from Hisar constituency. 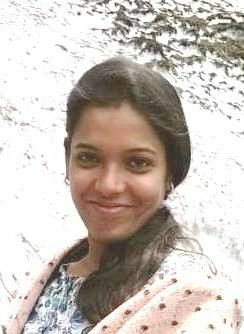 She was born in Tinsukia, Assam and presently lives in Hisar, Haryana. She holds a Diploma degree in Education. She is the widow of Jindal Group founder OP Jindal. Cyrus Poonawala owns an Indian Biotech company. He was awarded PadmaShri for his contribution in the field of medicine. With the net worth o $8.3 Billion, Cyrus Poonawala is the 170th richest person on the earth. Bajaj Group owns 37 companies and Bajaj Motors is ranked as the fourth largest 2 and 3 wheelers' company in the world. The company was first started by Jamnlal Bajaj in 1926. Now, the grandson of Jamnlal, Rahul Bajaj manages the company as the chairman. 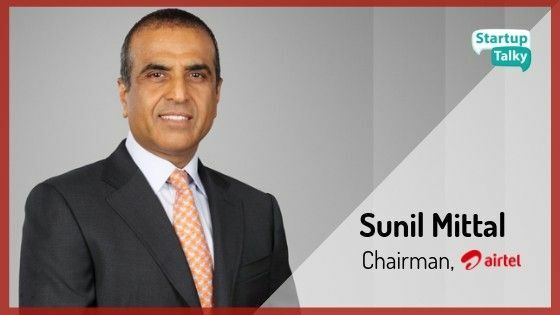 Sunil Mittal the founder of Bharti Enterprises which has diversified interests in Telecom, insurance, Real Estate, Education, Malls, Hospitality, Agri and Food. 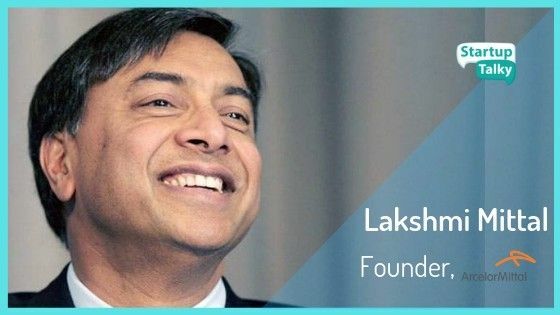 He was one of the first Indian entrepreneurs to identify the mobile telecom business and came up from push-button phones to the third largest telecommunications service provider Airtel. He was awarded the Padma Bhushan in the year 2007. He was then elected as Chairman of the International Chamber of Commerce in 2016. He has won many awards like Telecom Person of the Year, Telecom Asia Awards, Business Leader Of The Year by Economic Times etc. Born on 23 October 1957 in Ludhiana, Punjab. He did his education from Arya College and Panjab University. At the age of 18, he started his first business by borrowing ₹20000 from his father. His father was an MP from Ludhiana. 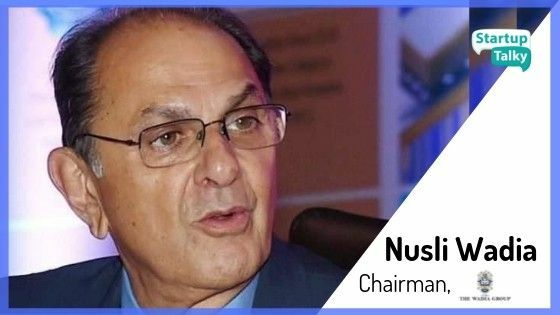 Nusli Wadia is the Chairman of Wadia Group which deals in textiles, aviation, chemicals, food processing, plantations, media & real estate. Earlier the company used to make ships and docks during the British period on the ports of Bombay. Wadia is named in the list of India's most successful and rich businessmen and is one of the Parsi community's most prominent and influential businessmen. He is one of the Parsi community's most prominent and influential businessmen. Wadia is the chairman of Britannia Industries Ltd. which sells Britannia and Tiger brands of biscuits, bread and dairy products. Mr Wadia is also the chairman and majority owner of Bombay Dyeing. Wadia Group also owns GoAir Airlines which mainly functions in India. Mr Wadia is also famously called as "the epitome of South Bombay's old money and genteel respectability" by Economic Times. He is of British Parsi Origin. Born on 15 February 1944, in Mumbai. He did his schooling from Cathedral and John Connon School and did graduation from the University of Florida. Nusli Wadia is the grandson of Muhammad Ali Jinnah, the founder of Pakistan. 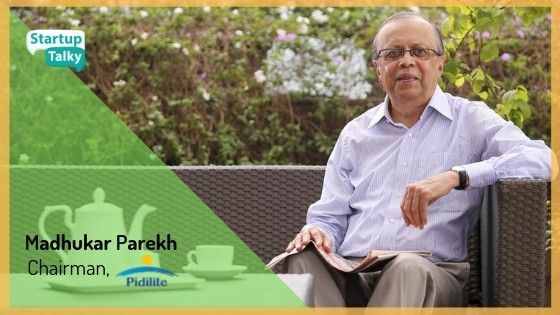 Madhukar Balvantray Parekh is the Chairman and Executive Director of Pidilite Industries, a global company in adhesives and construction chemicals. Fevicol, Dr. Fixit, M-Seal, Fevikwik, Fevistik are some of the big brands in Pidilite Industries. Parekh serves as the chairman, Executive Director and MD of Vinyl Chemicals India Limited. He is also an Independent non-executive director of Excel Industries Limited. He was ranked 13th by business today's top leaders in India in 2012 and was ranked 34th on Forbes. He also won prestigious Entrepreneur of the year award for Consumer products category in 2014. 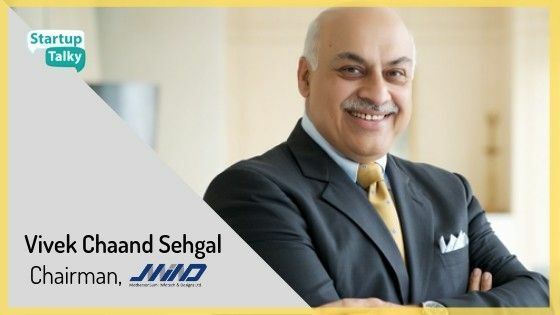 Under him, the company has won many prestigious awards like the ‘Most Promising Company of the Year’ at the CNBC, 11th India Business Leader Awards. Madhukar was born on 1945 in Mumbai. He currently lives in Mumbai. He achieved 4th rank in the IIT entrance test. Parekh is a Gold medallist holder from Institute of Chemical Technology (ICT) a leading chemical technology research institute in India. His father Balvantray Kalyanji Parekh is the founder of Pidilite Industries. His Father was popularly known as 'India’s Fevicol Man'. 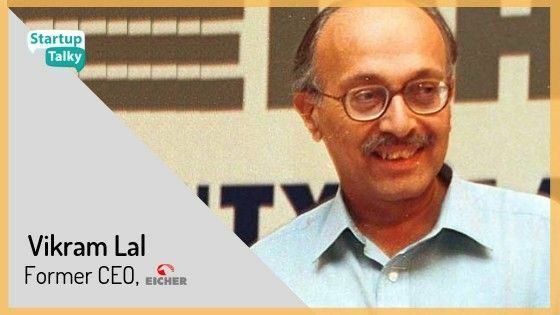 Lal is the founder and former CEO of Eicher Motors which manufactures motorcycles and commercial vehicles. He is also the president of Common Cause, a public interest NGO pursuing major issues relating to reform, governance and the enforcement of the law. From the 67th position in 2013, Lal came to 20th in 2018 in the Forbes list of richest person of India. Eicher Motors is the parent company of Royal Enfield, a manufacturer of middleweight motorcycles. Eicher Motors holds a majority stake of 60% in Royal Enfield. His son Siddharth Lal is currently the CEO of Eicher Motors and Royal Enfield. Lal was born on 1942 in Delhi and presently lives in Delhi. He has pursued his Mechanical Engineering from Technical University Darmstadt in West Germany. He is also a member of the board of directors of 'The Doon School'. His NGO, Goodearth Education Foundation (GEF), has been working with state governments and other NGOs in primary education for more than 10 years. Vivek Chaand Sehgal is an Indian-born Australian Businessman. He is the chairman, co-founder and promoter of Samvardhana Motherson Group which manufactures auto parts. He co-founded the SM Group along with his mother in 1975. He has acquired 11 companies over a period of 12 years. Sehgal established Motherson Sehgal Cables in 1977. The flagship company of the group Motherson Sumi Systems was established in 1986. SM group is a joint venture of Sumitomo Wiring Systems (Japan). He has an experience of 36 years in the auto industry. Born on 1st February 1957 in Delhi and lives in Delhi. He holds a bachelor's degree from Delhi University. Sehgal is the ninth richest Australian on its 2018 Rich List. He acquired Australian citizenship in 2017. He is popularly known for throwing big parties when Motherson meets its annual targets. In the year 1979 Bangur business empire was founded. Gopal Bangur is the owner of Shree Cement which is leading cement producer in India. He is also the Chairman of the Board of NBI Industrial Finance Co Ltd. and the Director of Khemka Properties Pvt. Ltd. Gopal is ranked 22nd on the list of richest person of India by Forbes. 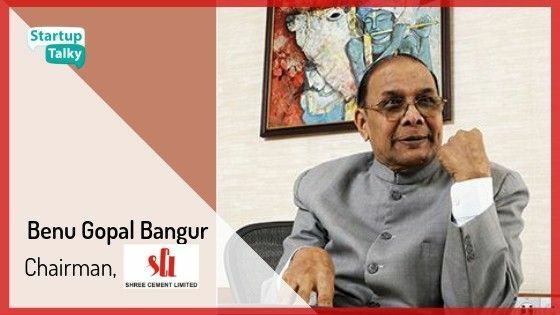 Bangur holds 65% stake in the Shree Cements. Shree Ultra Ordinary Portland Cement, Shree Ultra Jung Rodhak, Bangur Cement and Tuff Cemento 3556 are some of the products of Shree Cement. Bangur was born on 1931 in Kolkata to a Marwari business family. He is widowed with two children and currently lives in Kolkata. He got his formal education in BCom from Calcutta University. He runs a Sanskrit school to promote Indian heritage. Kushal Pal Singh is the former CEO and chairman of DLF Limited. DLF Ltd. (Delhi Land and Finance) is India's largest commercial real estate developer. 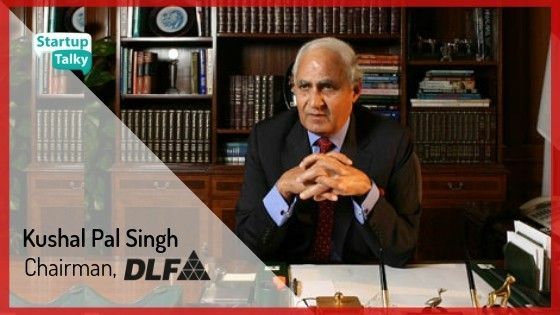 DLF Limited was founded by his father-in-law Chaudhary Raghvendra Singh. DLF has a land of 3000 acres in Gurugram as the DLF city. Singh was honoured with Padma Bhushan Award on 26 January 2010 by Government of India. He was recognized by Forbes magazine as the richest real estate baron and the eighth richest person in the world, on 24 March 2008. He also received the Entrepreneur of the Year award at The Asian Awards. KP Singh was born on 15 November 1931 in Uttar Pradesh. He did Aeronautical Engineering in the UK and was also selected to the Indian Army by British Officers Services Selection Board, UK. An Autobiography named 'Whatever the Odds: The Incredible Story Behind DLF' was launched in 2011. Ajay Piramal is the Chairman of Piramal Group & Shriram Group which has its interests in pharma, healthcare and real estates. He is a Non-Executive Member of Tata Sons Ltd. also a member of Board of Trade Constituted by the Ministry of Commerce. He is also the president and chairman of Anant University. In 1999, he was awarded the CEO of the Year Award’ by World Strategy Forum. He was awarded Business Leader of the Year Award 2018, International Advertising Association Leadership Award 2018, Special Achievement Award, Asia Pacific Entrepreneurship Awards (APEA) 2018, CNBC Asia’s India Business Leader of the Year Award for the year 2018. In 2017 he received CNBC Asia Business Leader of the Year Award. 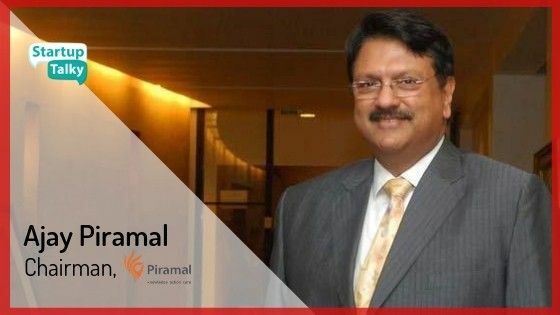 Piramal born on 3 August 1955 in Rajasthan. He pursued his Master's degree in Management Studies from Jamnalal Bajaj Institute of Management Studies, University of Bombay. He pursues his passion for wildlife photography in his spare time. Acharya Balkrishna is the MD and chairman of Patanjali Ayurved. It was founded in 2006 by Balkrishna and Baba Ramdev. In 1995, Balkrishna and Ramdev also founded the Divya Pharmacy. Its headquarters are in Uttrakhand. Patanjali Ayurved is an ayurvedic consumer goods manufacturing company involved in the manufacturing and trading of FMCG, herbal, and ayurvedic products. Its revenues are around $1.7 billion as recorded in years 2017-18. Balkrishna holds individual ownership of 98.6% in Patanjali Ayurved. In 2009 magazines like India Today and Outlook acknowledged him among the ‘Ten Versatile and Dynamic Young Men of India’. He is honoured with Degree of Doctor of letter (Yoga). He is the ‘Most Followed Entrepreneur’ on Facebook platform. Acharya was born on 24 July 1972 in Haridwar City. He lives in Haridwar and is unmarried. He completed his formal education under the guidance of Late Acharya Shri Baldevji at the Gurukul at Kalwa. Acharya Balkrishna is often referred to as Balkrishna Suvedi. He is a close aide of the Baba Ramdev and is the man behind the huge success of Patanjali. M.A. Yusuff Ali is the founder and MD of Lulu Group International. Lulu group owns many malls and hypermarkets all around the world. After completing his studies, Yusuff shifted to Abu Dhabi and joined his uncle in his business. He started his first Lulu hypermarket in 1990 and from their, he never stopped. Subhash Chandra who is also known as the father of Indian television, is one of the most inspiring self made billionaire. As a return gift to society, he donated and helped person in many ways. Subhash started Essel as a plastic packaging company. Later, in 1992, with the collaboration of Star TV, he launched Zee TV in Hong Kong. This was the moment he changed the way person used to watch television. With the title of "Best Pharma man of the year 2003", Pankaj Patel has earned a lot of respect. He is the chairman of Federation of Indian Chambers of Commerce and Industry (FICCI), Indian Institute of Science Education and Research (IISER) Kolkata, IIT Bhubaneswar and Finance Committee of the Indian Institute of Management, Ahmedabad. Not only this, he is the Vice President and trustee of Gujarat Cancer Society and chairman of the Gujarat Cancer and Research Institute. Sameer Gehlaut, with his friend, Rajiv Rattan, bought a non-operational Delhi based startup, Orbitech Pvt. Ltd. Sameer worked in an office with a tin roof and 2 computers in it. They were working hard to start a brokerage service. Progressing and seeing some results, they decided to get their third friend's head in this startup. Saurabh Mittal joined them and they never stopped growing. Today, Indiabulls have their foot in many financial industries including real estate, infrastructure, housing finance, etc. Born in Kuwait, and owner of Dubai based company, Landmark, Micky Jagtiani is an Indian. He did his schooling in Mumbai and then chose accounting as his major and moved to London. He took over his deceased brother's shop in Bahrain and turned it into a baby shop. When Gulf War struck, he moved to Dubai and founded Landmark Group. Landmark group is a multinational retail company which have from electronics to baby products. In other words, they deal in everything. Mariwala started the Marico, consumer goods company which deals in health and beauty products. Many popular hair products like Set Wet, livon, Nihar are bought by marico in India. He is also the founder of Kaya skincare ltd. Mariwaka's net worth is $3.95 billion and he has been ranked the 33rd wealthiest Indian by Forbes. RP group is owned by Ravi pillai. It deals with construction, oil and gas, cement and hospitality services. Pillai was ranked as the fourth most powerful Indian in the Middle East in 2014 by Arabian Business. He also has been honored with the Padma Shri by the Indian government. His net worth is $3.9 billion. They are the owner of India's second largest paint maker company Berger Paints. They bought Berger from Vijay mallya. Ranked 34th in the list of Indian billionaires and 652nd in world's billionaires list by Forbes.The company has an annual turnover of $660 million USD. Sudhir mehta Together with samir mehta changed the entire vision of Trinity laboratories to torrent pharma. Torrent has presence in Russia, Brazil and many other European countries. Sudhir also started buying electricity of ahmedabad and today Torrent Power has 2,101Mw generation capacity and it distributes power to 2.76 million customers in parts of gujarat. Their net worth is $3.8 billion and makes them one of the richest persons of India. Kalanithi is the owner of Sun group which owns many media channels, DTH operator, movie production houses .He has won Young Businessman awards from CNBC and Ernst & Young and Forbes magazine named him the "Television king of southern India". His net worth is $3.75 billion. Anil Agarwal is the founder and chairman of Vedanta Resources Plc. It is a global diversified metal and mining company. Headquartered in London, Vedanta is known as the largest mining company of India. Shetty started a number of companies in the UAE. . He is the chairman of NMC Healthcare and UAE Exchange. He is also the founder and chairman of Neopharma, Finablr and BRS Ventures. He made into the Forbes list of richest Indians both in 2015 and 2016. And also has won the Padma Shri from the president of India. His net worth is $3.7 billion. She is the chairperson and managing director of Biocon Limited, The company's initial projects were the extraction of papain and isinglass. She is also the chairperson of the Indian Institute of Management in Bangalore. Forbes listed her in 2016 and 2017 as the most powerful women in the world at 77th and 71st respectively.She is known for her outstanding contributions to the progress of science and chemistry. And was given the Othmer Gold Medal in 2014. She has a net worth of 2.1$ billion. With the net worth of 3.5 billion Chudgar is placed 791th position in world billionaires according to Forbes. Hasmukh Chudgar founded the generics maker Intas Pharmaceuticals in 1977.Intas bought the Irish and UK assets of Israeli firm Teva Pharmaceuticals for $750 million in October 2016. Rahul Bhatia is the co-founder and non-executive director of carrier IndiGo. He is also the Group Managing Director of InterGlobe Enterprises. InterGlobe Enterprises is a privately held group which, holds airline, travel related businesses, and hotels. He has won awards like Ernst & Young Entrepreneur of the Year Award for Outstanding Start-up and Economic Times Entrepreneur of the Year Award. Kapil Bhatia is rahul bhatia's father and the joint owner of interglobe enterprises. Their net worth is $ 3.55 billion. Rajendra agarwal's family had their own pharmacy in jaipur. Later in the year 1986 they set up Macleods Pharmaceuticals which made anti-TB. Macleods pharma is amongst the top 10 Indian pharmas. The medical doctor has a net worth of $ 3.5 billion and ranks 42nd in the Forbes list of richest Indian person. Anil rai is the son of Vinod gupta. Together they own 43% of havells India's holding, which is the source of their wealth. Havells make everything from electrical equipments, light products to washing machines and refrigerators. The company's presence is in about 40 countries with 12 factories all-over.Their current net worth is $ 3.4 billion USD. Dani is an entrepreneur and non executive vice chairman of India’s largest paint company Asian Paints ltd. Ashwin is in the list of Forbes's richest person of India as well as global billionaire list with his net worth about $3.45 billion. His full name is Ashwin Suryakant Dani. He has won the Colour Society Lifetime achievement award in the year 2012. Patel's net worth is USD $ 3.35 billion. He is the founder of Nirma group which deals majorly in detergents, soaps and cosmetics. Nirma's annual revenue is 2500 crore which is 500 mn USD. He has won titles like outstanding industrialist in eighties and win awards like Udyog Ratna Award. Samprada Singh launched Alken in 1973-74. Alken is a leading Pharmaceuticals company with its annual turnover as 600 crore. It sells its products worldwide in nearly 40 countries. The Indian pharmaceutical industry's No.3 brand Taxim (Rs. 100 crores) is an Alkem brand. In 2017 Samprada Singh was ranked as the 43rd richest man in India by Forbes Magazine. The company was founded in 1989 by a farmer's son, to make small pipes for municipality. P.P. Reddy later expanded his business to building infrastructure projects. Now, his nephew, P.V.Krishna Reddy, who joined him in 1991, runs the company. Raheja is an Indian billionaire and property developer. Mostly deals with the construction of IT parks, hotels, malls. Some examples of his work are office spaces like mindspace, shopping arenas like orbit malls, and the department store chain Shoppers Stop . His net worth is $ 3 billion USD currently. Ravi Ruia did his mechanical engineering from Chennai. He later went on to work on his family business with his elder brother. They both worked hard to expand the business and build their net worth. P.V. Ramprasad Reddy is the co-founder of Aurobindo Pharma. The Indian businessman was listed on Forbes in 2016 as Indian billionaire. Ranked 688th on global Forbes list of billionaires, he has a net worth of $2.5 billion USD. He was also one of the highly influential person in the healthcare and pharmaceutical industry in the world by the world pharmaceutical frontiers in the year 2008.